SAN FRANCISCO, CA–Breast Cancer Action (BCAction), the national watchdog for the breast cancer movement, today launched a sweeping critique of pink ribbon culture and marketing by outlining the specific ways pink ribbon culture fails women. They are demanding pink ribbon marketers Stop the Distraction and are focusing on six prominent corporate targets. The October 2014 campaign, which is a continuation of BCAction’s hallmark award-winning Think Before You Pink® campaign, is a six-point take-down of pink ribbon cause marketing and the broader culture of “pink” which expands BCAction’s long-standing commitment to addressing exploitation, corporate profiteering and hypocrisy in breast cancer fundraising. “Pink ribbon culture has failed to address and end the breast cancer epidemic and achieve health justice for all women despite more than 20 years of pink ribbon marketing and awareness campaigns,” stated Jaggar. Despite all the awareness and all the money raised, breast cancer remains an urgent public health crisis and a critical social justice issue. Each October, pink ribbon marketers appeal to people’s sincere concern about breast cancer. Companies sell products, make profits, and seek customer goodwill by claiming to care about breast cancer. Many of these promotions ultimately benefit corporations far more than they help women living with and at risk of breast cancer. 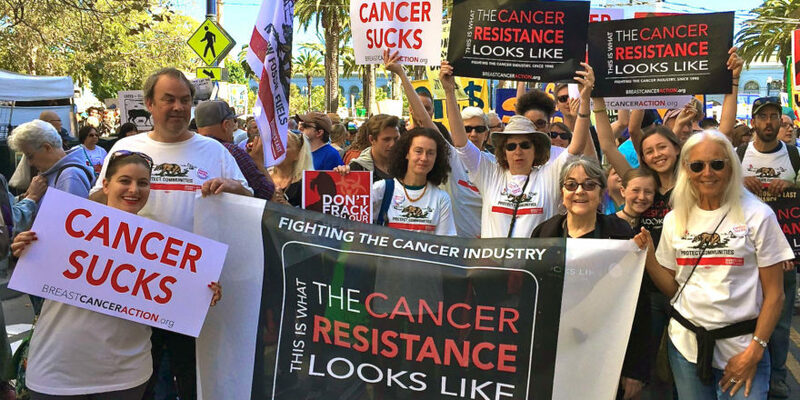 While corporations have made billions off the disease, progress in breast cancer treatment, prevention, survival, and inequities has not been forthcoming. Three million women in the U.S. are living with breast cancer. Up to one-third of all breast cancers will metastasize, even when found in the early stages. Black women are still 40% more likely to die of breast cancer than white women. And each year, 40,000 women die of breast cancer. Breast Cancer Action encourages people across the country to hold accountable corporations that claim to care about breast cancer through their “Stop the Distraction” campaign at www.bcaction.org/stopthedistraction.